THIS time of year almost every furniture shop will be trying to lure people in with their sales. But while your existing sofas or chairs may have seen better days, buying replacements is not the only (or the best) option. No doubt you like your existing suite. It fits your room, it fits your family and it fits your needs. But will you be able to find the perfect replacement? And how many superstores will you have to traipse around before your luck drops and you actually find it? There is an easier solution, of course, and that is reupholstery. As long as your furniture has a solid frame, then it can be upgraded, rebuilt or recovered to take it back to its prime or give it a new lease of life. Think about it. Your sofa or chair, the one that fits all your needs, back again as good as new. It must be said that reupholstery is not the cheap option. But what you get back is a real quality item to your exact specifications. 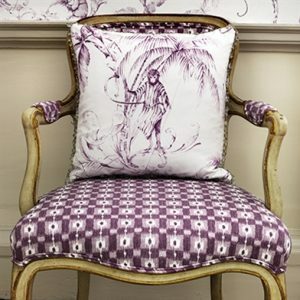 You can choose the colour and type of fabric, some examples on this page. You could change the type of cushions if you wanted or have a firmer seat. How about leather instead of fabric. Any and all options are open – the world is your oyster! 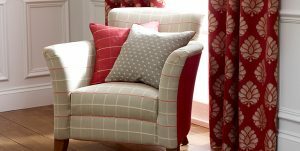 Why not design your own upholstered furniture from scratch – to fit perfectly in the spot you have in mind, ticking all the right boxes. So, if you have a unique personality that your average store doesn’t cater for or you just want your chair back to its former glory, then an upholsterer is your perfect choice. Get in touch with us today and see how Hill Upholstery & Design can help you. Home / Case Studies / Looking for a new sofa or chair?